This past Sunday during worship we reflected on the Story of Jesus calling Phillip as one of his first disciples. Jesus’ call to Phillip is simple, “Follow Me.” I drew us into a time of considering the countenance of Christ and how that contributed to the willingness of folks to follow him. Phillip was also one of the first examples of someone who not only followed, but became an early evangelist. Phillip goes and tells his brother Nathanael about Jesus and what he has already begun to believe about him. The interesting thing is that he not only tells his brother but also invites him to, “come and see.” Even in this earliest of stages, Phillip knows that the story of faith isn’t something that should be hidden or contained. This past week there has been much in the news about the role and place of religious belief in the public sphere. The editor of Charlie Hebdo, advocated for religious faith to be private and not engaged in public or political discourse. Of course, if you have spent anytime reflecting on religious teaching of any kind, you quickly come to know that religious faith and public life are inseparable. This is especially true for the followers of Christ. The call to discipleship is one of public witness. We cannot have our internal life transformed through Christ without it affecting our public life. The idea that faith can be private is a fallacy. We have a responsibility to profess our faith with respect and dignity, but we can’t allow ourselves to be silenced by fear. Yesterday was Rev. Martin Luther King Jr. day. Doctor King was not a secular reformer. 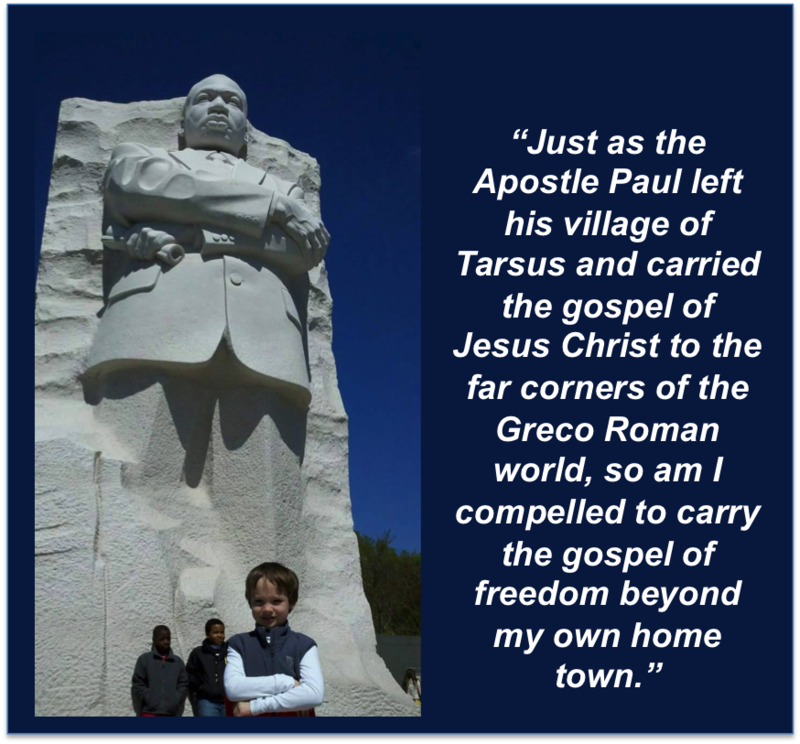 His desire and quest for justice blossomed from his faith in Christ and Christ’s teachings. The dream he spoke about came from his experience of Christ’s transformation in his own life. That dream, based in his faith, became the embodiment of hope for many, even those who didn’t share his faith in Christ. 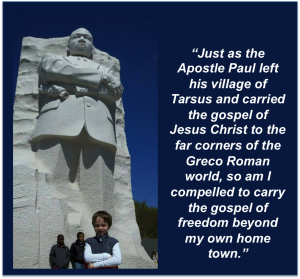 What would our world look like if Dr. King left his faith on a shelf when he stepped into the public or political arena? Also during worship this past Sunday, I asked everyone to silently ask God to help them identify a time when they experienced their faith in action. This was not to make them feel good about the fact that God really is working in their life, although it should. Rather the goal of asking for this insight was to find a story to tell. I challenged everyone to be a bit like Phillip and tell someone they know about what they have seen. This is a very simple way of inviting the other person to “come and see” how God is at work in their lives. What story of God’s presence in your life do you have to share with someone in your life? Who will you share it with? This entry was posted in Uncategorized by Geoff McLean. Bookmark the permalink.